Gold winning Russian swimmer Anastasia Davydova has a tremen dousob session for tattoos which in case symbolized by the butterfly tattoos on her back. What is regarded as the real passion, dedication and tendency to achieve the goal? Find out this answer with César Castro’s Olympic rings tattoo. 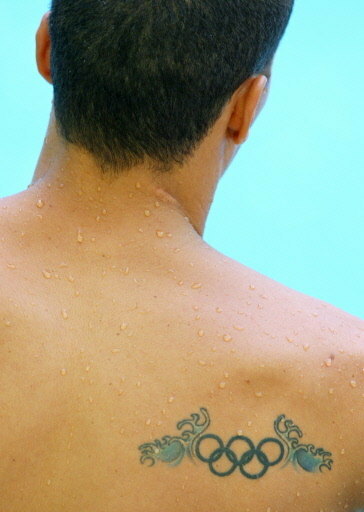 Michael Phelps is Olympics’ greatest hero and as a symbol of his success he has an Olympic ring tattoo on his waistline. Hugo Parisi, the two time Silver Medal winner for being an awesome diver for his country Brazil. He has two very meaningful tattoos on his back to show his aim of the life.